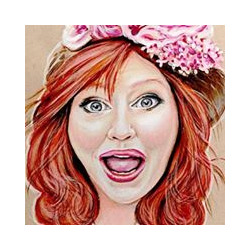 YouTube's most watched acrylic artist, Cinnamon Cooney, The Art Sherpa, has hundreds of thousands of subscribers and over a million hits to her channel every month. The Art Sherpa has produced more content (over 400 videos) for beginning acrylic painting than any other artist online. Her followers, dubbed "Sherpettes", are hungry for her products.